People love to talk about destruction and violence in the latest Superman movie, Man of Steel, but they haven’t seen anything yet. Today, you’re about to see the trailer for undisputedly THE most violent Superman movie: Superman III. Wait, what? Do we mean the 1983 Christopher Reeve movie with Richard Pryor? We certainly do. 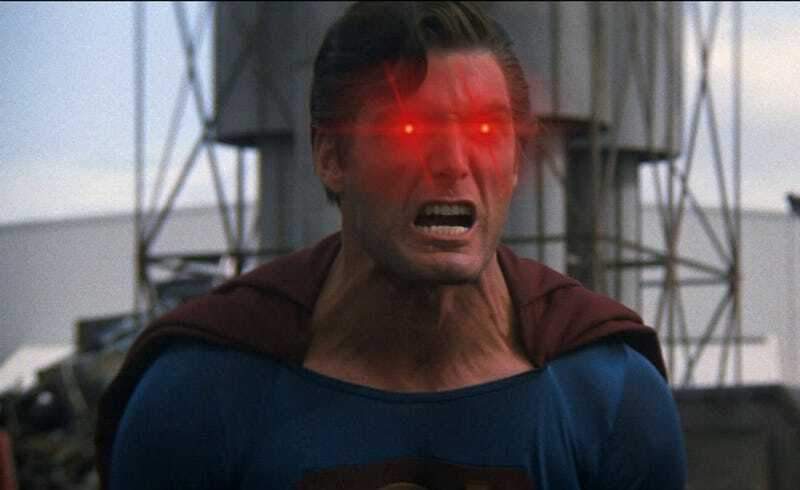 Already considered a pretty weird movie, the team at One Perfect Shot has edited a trailer that turns Superman III into a violent, disturbing horror movie. And it works remarkably well. Almost too well. Check it out.